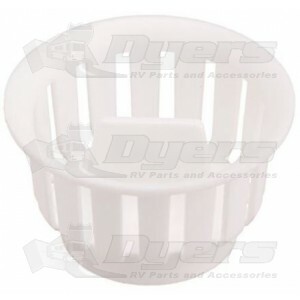 A replacement twist-In top crumb cup basket for a LaSalle Bristol 2-1/2″ screw-in sink strainer. I looked everywhere for these strainer baskets and was happy the Dyer had them. I looked everywhere, even ordered another one thinking it would fit, before I found this. It's exactly like the one I lost and fits perfectly in my older model Shasta motor home sink. It's a stopper and strainer all in one. great price and perfect fit. Was looking the web over for this exact part and found it on Dyers for a great price and fast shipping.